With the assistance of a skilled team of engineers and an advanced manufacturing unit, we are able to offer a quality range of Vibrating Screen. These are widely used across the industry for various purposes. Available in different screen sizes, these are offered at economical prices to the clients. 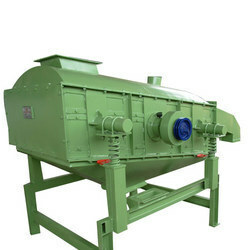 Vibrating Screen is widely used across for screening and grading of various material into different particle sizes. These are available as single & multi- deck vibrating screens which are supplied with mounting base frames. The screens work on the simple eccentric cam type mechanism and offer higher screening capacity. The Specifications and Images noted above are subject to change and can be used as guidance only.